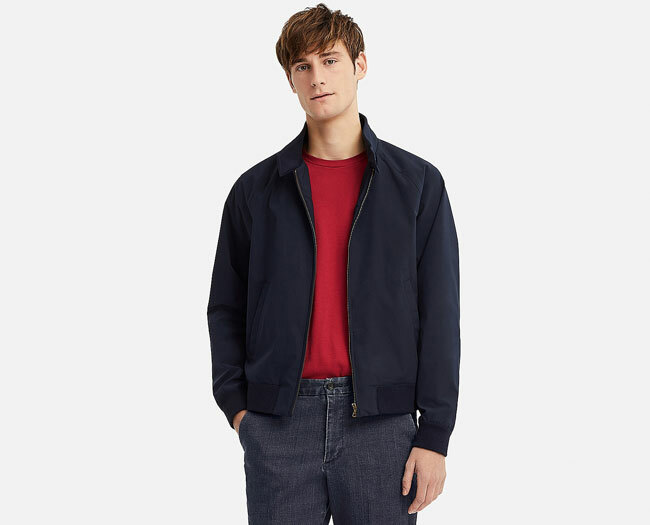 Popular last year, Uniqlo’s budget harrington jacket returns to the shelves in four colours and with extra size options. 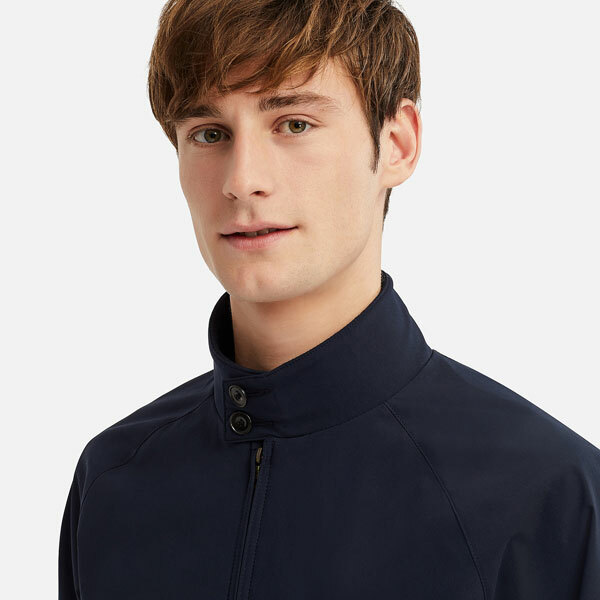 The pull of the jacket? That price of course. 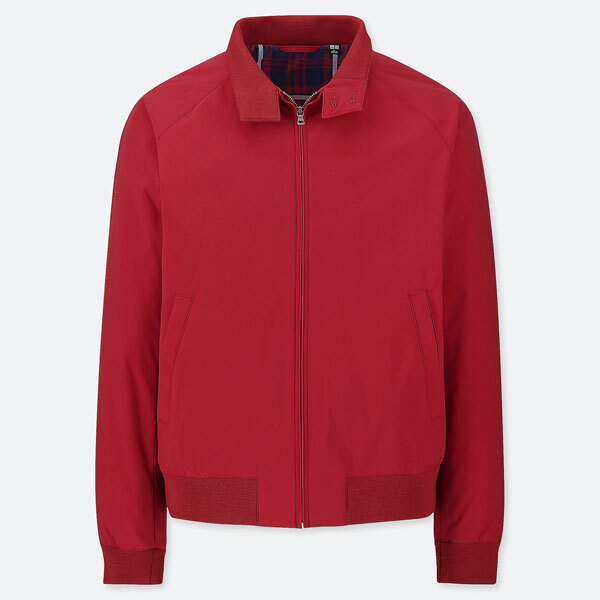 It’s a fraction of the price of a Baracuta harrington jacket, although to be fair, this is a very different thing to the ‘market leader’. Also, note that you can get some deals on a Baracuta G9 harrington right now if you have a look around the sales. But you definitely will not get the Baracuta jacket as cheap as the one returning to Uniqlo. Let’s tell you what the jacket doesn’t have for a start. 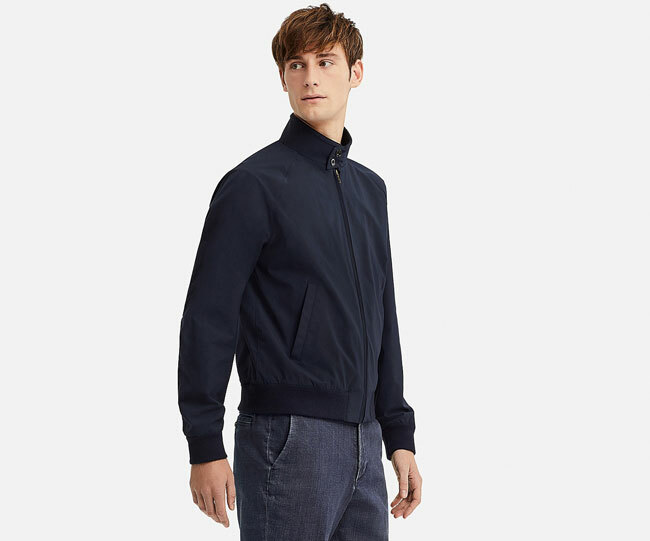 It doesn’t have buttoned side pockets, instead offering more basic slant pockets. It also doesn’t have the umbrella vent at the back. 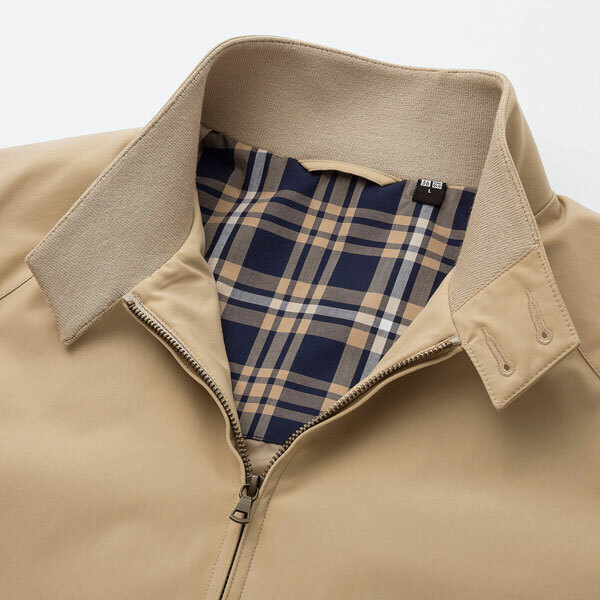 But the Uniqlo harrington does have a similar shape, a check lining and a two-button collar. 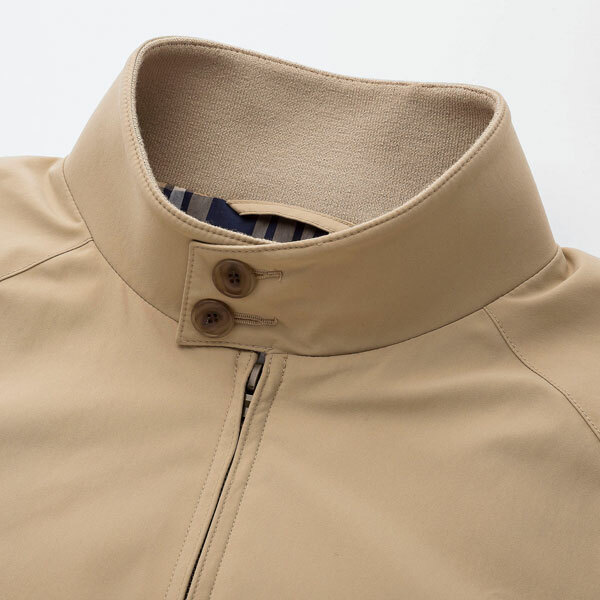 It is also made of a water-repellant fabric plus elasticated waits cuffs. It’s a good, everyday option. 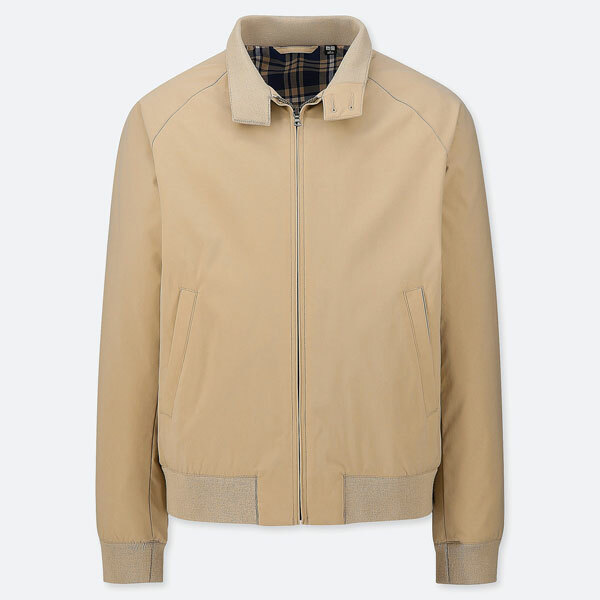 If you have the extra money to spend, go Baracuta. 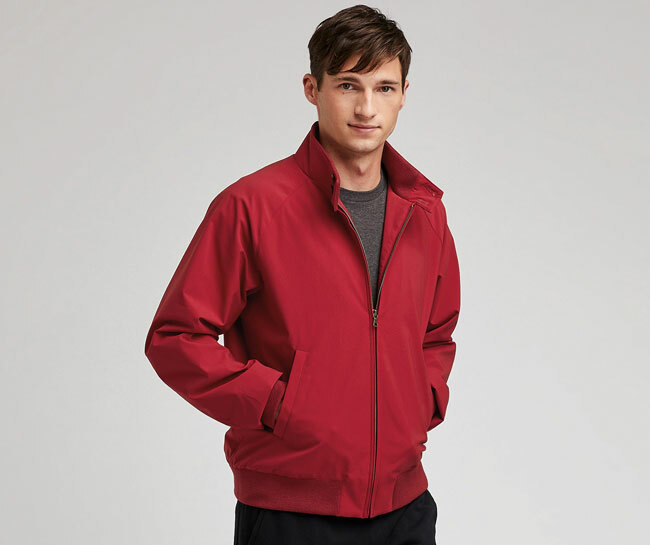 If you want a cheap back-up or just want to pay a lot less, have a look at this jacket in a choice of red, black, beige or navy and in sizes ranging from XS to XXL. That price? You can bag one of these for a very reasonable £39.90. Expect the more popular sizes to sell out as we approach the warmer weather if last year is anything to go by.